The uptake of Cloud computing. Cloud computing has been increasing in use in the last 5 years. In a recent RightScale survey, they found that 85% of enterprises have a multi-cloud strategy in place. Cloud computing has broken down the barriers to the enterprise and pushed applications and resources outside of that perimeter. Remote working is increasing. A Gallup poll for 2017, found that 43% of North Americans will work, at least some of the time, remotely. More flexible resource access. The increase in Cloud computing coupled with more employees wanting to work remotely has meant that access to enterprise resources needs to be more flexible. More flexible digital identity. With this externalization of resources and an increasingly online customer experience, enterprises, and other organizations are finding that they need a mechanism to manage, not just employees, but also their extended user base, including customers. Enter into the equation customer facing IAM - or CIAM. The digital customer. Customers expect a digital experience and CIAM builds a way to build and manage customer relationships. Government drivers. At the same time, governments like the UK Government Verify initiative, that Avoco is part of, are building eGovernment services for citizens. These services are often financial in nature and nearly always utilizing Personally Identifiable Information (PII). High assurance identity. Citizen identity initiatives require high levels of assurance. The old enterprise IAM systems identified users using directory systems and HR data. Customer-facing and externalized user bases need other methods to verify a user's identity. Customer and consumer verification. Various services have grown up to allow a system to query a person’s identity and verify that person to a certain level of assurance. Giving E-commerce the tools to do business. E-commerce needs to have the assurance that they are dealing with real people. They need to know proof of age, proof of address, and other attributes. Solutions specifically designed around a more flexible online identity service. A system like the Avoco API has been developed specifically to service multiple scenarios for Cloud-based identity across many types of user. All of the above have fed into the development of CIAM. And now the market is responding. Market Numbers In the 2017 Gartner Conference on digital identity, “Reimagine Identity” they stated that “digital business requires IAM that empowers the organization for change”. Avoco believe that modern IAM system incorporates the customer, making their verified data a central pivot upon which organizational processes flow. Enterprise deployers of IAM understand this movement and according to Forrester, 61% of enterprises are planning to implement or expand existing CIAM systems. Market size figures vary amongst analysts, but according to Orbis Research, the global IAM market place is set to be worth $20.87 billion by 2022, growing at a CAGR of 14.8%. 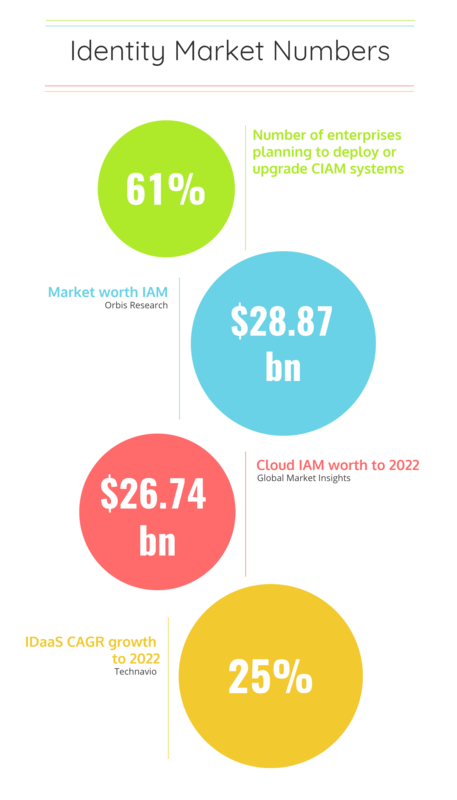 Another set of figures from Global Market Insights has set the market size for Cloud IAM to be $26,74 billion by 2022 growing at a CAGR of 20%. Yet another survey by Technavio, shows a CAGR of 25% to 2020 for Identity-as-a-Service (IDaaS). Whatever figures you look to, Cloud-based identity systems that services employees, business, and customers, are in a great place and the market is buoyant. Final Thoughts As the models of IAM change and mature, many of the current entrants into the CIAM space are using marketing as their use case. However, true CIAM solutions are built to service myriad use cases within a customer, business, and expanded user base context. 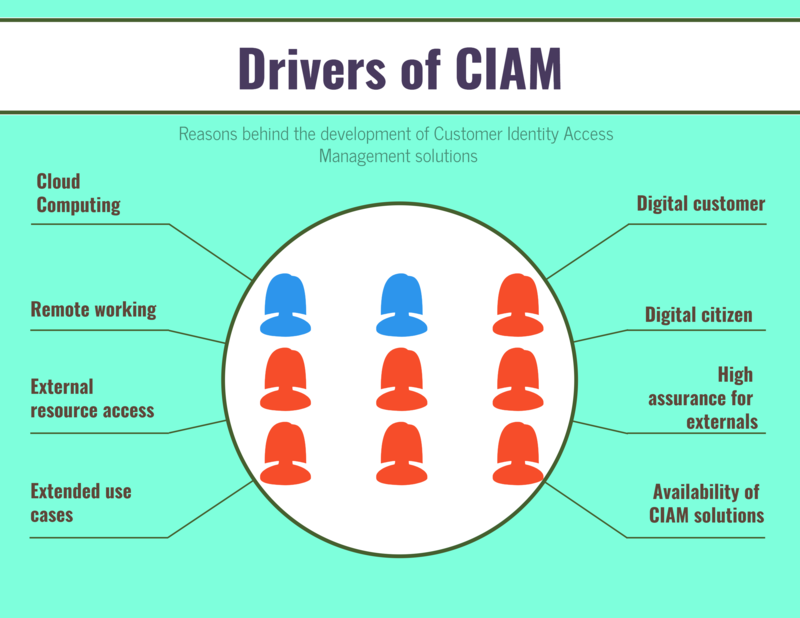 In a future blog post, I’ll explain why Customer Identity Access Management isn’t just about marketing and I’ll show a cross section of possible ways that you can use CIAM to transform your organization.